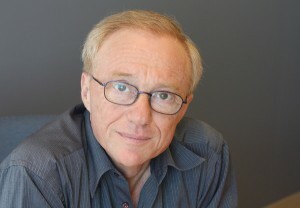 Author David Grossman. Photo courtesy of Michael Lionstar/Random House. In a perfect world, novelist David Grossman would be at home writing books all day. But in this world, the world-renowned author of both adult and children’s literature finds himself time and time again stepping out of his authorial role to address rallies, sign petitions, write political articles and march for social justice. And sometimes it is the seemingly minor grievances that upset Grossman enough to miss a day at his desk and take action. Last summer, when he heard the public library in the border town of Kiryat Shemona was in danger of closing, he joined a group of authors in donating books and bringing them to the town in a show of solidarity. “When I heard about it, I freaked out,” Grossman said. “The government was not giving money for the library in Kiryat Shemona even though the amount was negligible…and they speak incessantly about the importance of education and the future of our children.” The author has a special relationship with the border town: When it was under Lebanese rocket attack in the early 1980s, he used to go up there with fellow novelist Meir Shalev to read to children in bomb shelters. Besides, his first girlfriend was from Kiryat Shemona. Now he has collected some of his books, written various dedications in them “to the reader,” “to the children” or “to the librarian,” and donated them to the library. These books are as sure to delight, educate and challenge the imaginations of the residents of the small town as they do readers all over Israel and the world. Grossman has published nine novels, two journalistic accounts, multiple books of essays, a children’s opera, two plays and more than 15 children’s books; his works have been translated into over 30 languages. He has explored his country’s internal and external landscape in an extraordinarily broad range of styles and genres. He has penned poignant studies of childhood and adolescence, love, marriage, fatherhood, motherhood, the Holocaust, the Palestinian condition and the scars of war. Many of his works have been adapted for the screen and stage and he has been awarded some of his country’s and other nations’ highest literary honors. His most recent novel, To the End of the Land (2008; Vintage), won the Jewish Book Award, the French Prix Médicis étranger and the German Book Trade’s Peace Prize. Furthermore, by introducing complex ideas in sophisticated language, he feels he is fighting the stupification caused by the culture of reality television. Born in Jerusalem in 1954, Grossman burst onto the literary scene in the 1980s with daring novels that instantly received critical acclaim and won awards. The Smile of the Lamb (1983; Picador) was the first major Israeli work set in the West Bank and featured an Israeli soldier and a Palestinian. It was later made into a movie. See Under: Love (1986; Picador), Grossman’s first book to be translated into English, propelling him to international fame, was a highly experimental study of the second generation of the Holocaust, then a taboo in Israeli society. Then came The Yellow Wind (Picador), a 1987 journalistic account of the 20 years since the Six-Day War. It was a series of encounters with Palestinians and settlers in the West Bank, documenting the former’s frustration and the latter’s religious fanaticism and prophesying the first intifada, which broke out at the end of that year. Every one of Grossman’s books has been a best seller in Israel and many have been successful abroad. “Almost every book Grossman published in those years started a kind of public scandal,” said Michael Gluzman, a literature professor at Tel Aviv University who is writing a book about Grossman. “The Yellow Wind was a kind of earthquake. In a way, that book shaped the political awareness of a generation of Israelis…. See Under: Love , too, was very experimental and groundbreaking. Apart from being prolific and influential in adult literature, Grossman has the rare distinction of being just as prolific and influential in children’s literature. The figure of Itamar, a little red-headed, freckled boy with a wild imagination whose bespectacled father looks just like the author, is so popular in Israel that two parks in the city of Holon are devoted to him, with large sculptures of characters and scenes from his stories. The six titles in the Itamar series (not available in English), including Itamar Walks on Walls and Itamar Meets a Rabbit, have been adapted for theater and puppet shows, animated, sold on videocassettes and CDs and developed into museum exhibits as well as educational software translated into 20 languages. Itamar Meets a Rabbit was made into a children’s opera performed with the Israel Philharmonic Orchestra and narrated by Grossman. Youth occupy a special place in Grossman’s adult fiction as well. The protagonist of See Under: Love is 9-year-old Momik, who grows up in Jerusalem in the shadow of his parents’ Holocaust memories. The Book of Intimate Grammar (1991; Picador), which was made into a feature film, is the coming-of-age story of Aron Kleinfeld, from years 11 to 15. These children, like the author’s younger self, are close observers of the adults around them and irrepressible inventors of games and worlds generated by their fears and imaginations. One of the main characters in To the End of the Land , Avram, was, in his teen years, a voice artist who wrote, acted out and recorded radio dramas in his home-based studio, much like Grossman did as a child actor and reporter. With a mother born in Mandate Palestine and a father who emigrated from Poland before World War II, Grossman, the eldest of three boys, is not the child of survivors, yet came of age in an Israel where the Holocaust was alluded to in hushed tones and infused his consciousness. Thus the fictional Momik, who is determined to hunt down and confront the “Nazi beast” lurking in the basement. To the End of the Land , Grossman’s most celebrated novel, traces its characters from adolescence during the 1967 Six-Day War to a narrative present in which their children are at the end of their army service. A major backstory has to do with the traumatic experience of the 1973 Yom Kippur War. The main theme is protagonist Ora’s hike through Israel while her son is on a dangerous military operation, hoping to avoid bad news by not being home to receive it. Grossman’s son Uri, 20, was killed in combat during the Second Lebanon War in 2006, while the author was completing the book. He wrote in an afterword that by writing the book while his son was in the service he had hoped to keep him safe. The public treated the novel as something between realism and fiction. In real life, Grossman is as unassuming as his writing is effusive. With his strawberry-colored hair and thick square glasses, he receives a visitor in a black T-shirt tucked into immaculate white denim pants at his home in Mevaseret Zion, where he lives with his wife, Michal, a psychologist, and daughter, Ruthi. His eldest son, Jonathan, is married. Sitting with his guest on the veranda, steeped in luscious foliage and overlooking the rolling Judean Hills, Grossman is home for a few weeks in the middle of an intense schedule of travel and public appearances. Indeed, while other writers have harnessed the tools of social media to stay in touch with their readers, Grossman maintains a very 20th-century approach: Not only does he not have his own Web site, he does not even use e-mail. He is not a pacifist and believes Israel needs a strong army to defend itself. “If we see what Syrians are doing to other Syrians,” he said, “what Iraqis do to other Iraqis every day, we can only guess what would happen to Israel if Israel could not defend itself.” But he believes Israel is strong enough to be more generous and less fearful in its dealings with its Arab neighbors. In his numerous meetings with American Jews, they have told him they did not want to criticize Israel even if they disagreed with it.